Sequencing solutions to researchers worldwide. Our Genomics and Bioinformatics Services gives comprehensive support from the initial project consultation and continues even beyond completion of project. Our facilities have all the latest equipment and instruments to facilitate your requirements. Providing comprehensive, affordable, and creative solutions in DNA research of human, non-human and microbial samples for scientists. Admera Health offers the latest technology in next-generation sequencing and an experienced, high-quality project management team to guide you every step of the way. Admera Health offers comprehensive nucleic acids extraction services. The nucleic acids that are extracted include genomic DNA (gDNA), cell-free DNA (cfDNA), cell-free RNA (cfRNA), exosomal RNA (exoRNA), total RNA, mRNA, rRNA/globin mRNA depleted total RNA and microRNA. The source material can be cells, fresh/ frozen/Formalin-Fixed Paraffin-Embedded (FFPE) tissues, body fluids (blood, saliva, urine) or stools from various organisms including human, mammals, plants, fungi, bacteria and viruses. Extractions also include nucleic acids from environment, including soils, swabs from environment (hospitals, buses), and water from oil wells. Admera Health offers nucleic acid extraction for both small batch samples by manual extraction and for large batch samples by liquid handler and automation systems. Cells: 105-107 cells. It can be as low as 5,000 cells depending on the applications. Human whole genome sequencing allows for detection of variations to discover potential correlations to certain disease risks, and it can also play a role as molecular biomarkers for disease diagnosis and prediction. Non-human whole genome sequencing allows for discovering genome of animals and plants which can uncover the species origin, development, disease, and much more. De novo sequencing has proven successful for confirming and expanding upon results from database searches, and providing excellent resources for understanding a species. Whole Exome Sequencing (WES) is aimed to sequence all the protein-coding regions or exons in a genome, collectively known as exome. There are approximately 180,000 exons which represent less than 2% of the human genome. As most of the disease-related variants are found in the exons, WES is thought to be an efficient way to understand the genetic cause of diseases or conditions. Admera Health provides a very cost-effective, high quality WES service. Naturally-occurring methylation of DNA at the cytosine residues is an important component in many studies including that of epigenetic studies. With this occurrence in mind, converting and studying these sites is referred to as whole genome bisulfite sequencing (WGBS). This technology is a genome-wide profiling of DNA methylation sites. WGBS is a comprehensive cytosine modification profiling method which provides insight into topics relating to epigenomic mapping, patterns of epigenetic marks, aberrant methylation characterized by cancers, and much more. This approach is customizable to a specific interest and offers a balanced choice between large panel (whole genome sequencing) and small panels (Sanger Sequencing). Targeting a subset provides higher sensitivity to the subset of choice. Targeted resequencing allows researchers to analyze a specific subset of the genome to discover and validate novel variants, examine specific genes in pathways, or as a follow-up to GWAS data. Based on prior knowledge of the region of interest, this approach allows for customizing sequencing to specific targets to enable maximum utilization of the NGS platform by giving the deepest genetic analysis compared to WGS and Exome-Seq. Depending on the genes for your target, Admera Health can design up to 40 million base pairs and perform the gene sequencing for your specific project. Each project is given special attention and designed exclusively. Metagenomics is the study of genetic material recovered directly from environmental samples. By using shotgun or PCR directed sequencing, Admera Health is able to get largely unbiased samples of all genes from all the members of the sampled communities. Because of its ability to reveal the previously hidden diversity of microscopic life, metagenomics offers a powerful lens for viewing the microbial world that has the potential to revolutionize understanding of the entire living world. Human leukocyte antigen (HLA) genes are the most polymorphic in the human genome). They play a pivotal role in the immune response and have been implicated in numerous human pathologies, especially autoimmunity and infectious diseases. When a mutation occurs in any of the 11 HLA loci, our body loses the ability to distinguish between self-cells and nonself-cells. Furthermore, mutations can cause transplant rejection, autoimmune responses, promotion of cancer, and drug sensitivity. Studying regulatory processes can be accomplished by employing ChIP and Next Generation Sequencing technologies. Chromatin Immunoprecipitation (ChIP) sequencing is essentially used to identify DNA binding sites for transcription factors and related proteins without prior knowledge. Profiling epigenetic modifications on a genome-wide basis allows for a deeper understanding of biological processes and disease states. Gaining intricate knowledge on regulators, targeted therapies can be explored and developed. A good alternative to ChIP-seq when beginning epigenetic studies is Assay for Transposase-Accessible Chromatin using sequencing (ATAC-seq). ATAC-seq is a common assay being utilized to survey the landscape genome-wide of chromatin assembly, understand accessibility to regions, discover transcription factor binding sites, gene regulation, and more. ATAC-seq has an advantage over other epigenomic assays as it requires a small amount of starting input. Now available on 10x Chromium. RNA-seq is a powerful tool for analyzing gene expression levels within an individual sample as well as for comparing differential gene expression between multiple samples. RNA-seq can detect the presence of novel isoforms, alternatively spliced transcripts; potential gene fusion events can also be detected through analysis of RNA-seq data. Admera Heath offers a complete solution from RNA extraction to bioinformatics analysis. RNA-seq is a powerful tool for analyzing gene expression levels within an individual sample as well as for comparing differential gene expression between multiple samples. RNA-seq can detect the presence of novel isoforms, alternatively spliced transcripts; potential gene fusion events can also be detected through analysis of RNA-seq data. Admera Health offers a complete solution from RNA extraction to bioinformatics analysis. Small RNAs are a type of non-coding RNA (ncRNA) molecules that are less than 200nt. They are usually involved in post-transcriptional regulation of gene expression through cleavage, degradation, or blocked translation. Small RNA sequencing is part of understanding species like miRNA, siRNA, piRNA, and many more. While studying transcriptome profiling through RNA-seq, many have reported subpopulations of cells which expressed its genes at various levels despite originating from a single tissue. The rising popularity in single cell sequencing has given insight to the extent of heterogeneity between cells as well as undiscovered regulatory functions of these cells. While studying transcriptome profiling through RNA-seq, many have reported subpopulations of cells which expressed its genes at various levels despite originating from a single tissue. The rising popularity in single cell sequencing has given insight to the extent of heterogeneity between cells as well as undiscovered regulatory functions of these cells. Now available on 10x Chromium. Metatranscriptomics enables researchers to investigate the actively transcribed ribosomal and messenger RNA from a community. It has been applied to environments as diverse as soil and seawater. Researchers looking for sequencing only solutions will find that Admera Health offers a quick and supportive team to reach your goals. Admera Health works with both individually-barcoded libraries or any pre-pooled libraries. Upon receipt of your samples, Admera Health performs comprehensive quality control steps which are detailed in reports that are sent to you within 24 hours. Our QC entails Qubit, Tapestation, and qPCR. Admera Health Bioinformatics team empowers researchers with informative results with ready to review reports along with expert support. Admera Health’s accomplished bioinformaticians provides comprehensive support and customized solutions to enhance the effectiveness of our customers’ research. Admera Health provides full bioinformatics service from experimental design to RNA-Seq data analysis and statistical modeling, as well as Gene Ontology/KEGG Pathway enrichment analysis. Admera Health team provides bioinformatics support for scRNA-seq data by using state-of-the-art computational tools. Admera Health provides metagenomics analysis services including data curation and analysis for 16S/18S/23S/ITS as well as whole genome shotgun data. Admera Health has extensive experience in the discovery of clinically applicable biomarkers. With a deep understanding of clinical development, diagnostic development and regulatory requirements, we can also strategically partner with clients throughout the entire process of CDx Development including bioinformatic support. Functional, pathway and Network analysis is a family of systems biology methods that uses the relationships among traits to make complex biological data more comprehensible. Researchers who are investigating a specific set of targets will find solutions with our expert team. Different methods can be employed based on your research requirements. As always, Admera Health will offer affordable and creative solutions. Real Time PCR allows for the enzymatic amplification and fluorescent labeling of a short, specific region or your template. The results gained from performing RT-qPCR have a variety of applications, including identifying microorganisms, genotyping, detecting SNPs, primer efficiency, precise quantitation measures, etc. Double digest restriction site associated DNA sequencing, or ddRAD-seq, is a technique to be used for SNP discovery and genotyping without a reference genome. The sampling of genome wide enzyme digestion offers an insight on SNP marker development and is feasible because of its cost-effective approach. 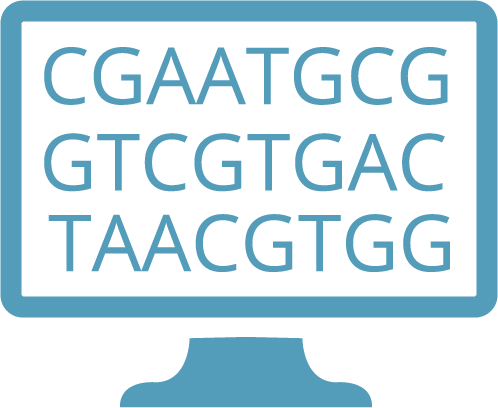 Customizing panels allows researchers to analyze a specific subset of the genome to discover and validate novel variants, examine specific genes in pathways, or as a follow-up to GWAS data. Depending on the genes for your target, Admera Health can design up to 40 million base pairs and perform the gene sequencing for your specific project. Each project is given special attention and designed exclusively. Our preservation tubes prevents bacterial growth and nuclease activity. The preservation solution can be stored in ambient temperature prior to extraction. “We have been working with custom sequencing companies at ILVO for +10y and have switched to Admera Health for NGS applications such as RNA-seq, amplicon sequencing, and WGS projects. Can Admera Health help with experimental design? Absolutely. Admera Health Team has personnel with PhD level expertise along with years of experience in the field. Contact the team with more details and Admera Health Project Management will assist you. Where do I ship my samples? Please ship samples here to address below. Prior to doing so, please contact the Admera Health Project Management team to arrange for quotes and project specifications. Depending on the type of sample material you plan to send, our team recommends sending with dry ice (RNAseq) or cold packs (DNA or library). Contact the team with more details and Admera Health Project Management will get you started. What starting material(s) is acceptable? What if I have less starting material? Admera Health has extensive experience with challenging samples and have many low-input protocols in place. Contact the team with more details and Admera Health Project Management will assist you. Does Admera Health accept ready-to-load libraries? If so, what are the library submission requirements? This depends on the amount of sequencing you require (number of sequencing lanes and platform type). Please contact Admera Health Team with your requirements. What are Admera Health Quality Control steps? Upon receipt, Admera Health performs visual inspections and move towards QC with Qubit, Tapestation or Bioanalyzer or agarose gel (depending on project requirements). All results are generated into a QC report for you to review. Libraries are subject to Qubit, Tapestation (optional), and qPCR. Sequencing data QC is performed as well. What are Admera Health's platforms for sequencing? Admera Health offers Miseq, Nextseq, Hiseq, Novaseq, PacBio platforms. Depending on your project and your research requirements, Admera Health Project Management team will advise you on coverage and sequencing depth. Contact us for more information. Will data be secure at Admera Health? How does Admera Health deliver data? Yes. Admera Health has biometrically restricted laboratory access, biometrically restricted data room, and closed loop data behind firewall. Our team can transfer raw data files via Basespace, FTP, or other methods. For any other methods, please inquire with the Project Management team here. How long will it take to complete your bioinformatics analysis? It depends on the details of your project and on how urgently you need it, but the average time for a project of average scope is 2-3 weeks. How much do your services cost? What other bioinformatic services do you provide? The cost of your project depends on many factors such as the amount of time your project will require, the complexity of your data and experimental design, and the extent of reporting you want. This will be determined following an initial consultation to determine your needs. Admera Health does most things in the space of genomics, including transcriptomics (bulk, single cell, full length, digital gene expression, and much more), epigenomics, and exome and whole genome sequencing with variant interpretation. Admera Health has a strong core team supported by an extensive network of consultants whose expertise spans computational biology. What is included in the full report we receive after you perform your analyses? We could provide the code used, methods, and results (including supplementary tables and figures). Contact us here for specific requests. Will Admera Health still provide help after the project is complete? Absolutely. Admera Health Project Management Team will provide support to all scientists who require additional assistance post project completion. If you require assistance for a project our team has completed for you, contact us and we’d be happy to help. When the sequencing and/or analysis is completed, will you return the remainder of the samples to me? Yes, this can be arranged if you provide the shipping label. Thank you for your interest in Admera Health. If you would like more information about genomics and bioinformatics business opportunities or if you have any general questions, please feel free to contact us.